Meals on Wheels in Loveland celebrated 50 years of community service with a superb dinner and a Loveland Chamber Ribbon Cutting. 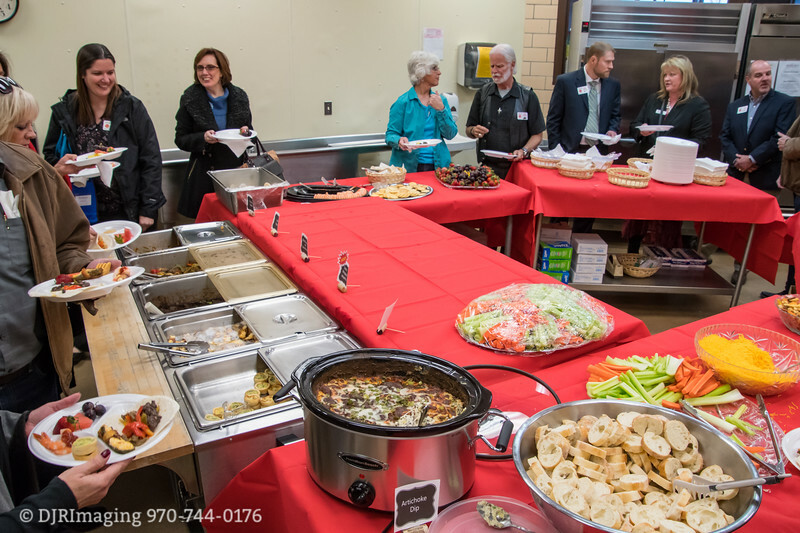 As can be seen here, those attending had a great social time and the kitchen team prepared a sumptuous dinner example of the expertise in their kitchen. Photos by: Don Reilly - DJRImaging - don@djrimaging.com - 970.744.0176 - http://www.djrimaging.com. DJRImaging provides on-location photographic services to tell the story of products, services, facilities, people, events and more. See examples of our work at http://www.djrimaging.com.